Spanish expeditions explored the area in 1691 and 1707. In 1718, the San Antonio de Bexar Presidio was established on the west side of the San Antonio River. Also in 1718, Franciscans established the San Antonio de Valero Mission which was later converted into a fort. The Mission Chapel, later renamed the Alamo, was built after 1744. The Mission San Jose y San Miguel de Aguayo was established in 1720 after the Mission San Antonio de Valero became over crowded.The Mission San Juan Capistrano was originally established in eastern Texas in 1716. It was moved to its present location in 1731. The Mission San Francisco de la Espada was originally founded as the San Francisco de los Tejas near present day Weches, Texas; this was the first mission in Texas. In 1731, this mission was transferred to the San Antonio River area and renamed. The Concepcion, San Juan, San Jose and Espada Missions are now a part of the San Antonio Missions National Historic Park established in 1975. In 1749, the San Antonio de Bexar Presidio built the presidio captain’s house on Military plaza. This house was later renamed the Spanish Governor's Palace. Construction of the San Fernando de Bexar Church (San Fernando Cathedral) began in 1738. It was thought to have been completed in its present form in approximately 1868. In 1772, the Presidio was relocated to a position directly across the river from the San Antonio de Valero Mission (the Alamo). In 1773, San Antonio de Bexar became the capital of Spanish Texas. In 1778, the settlement had a population of 2,060 including mission Indians. The residents were living in conditions described by visitors as “miserable.” In 1793, Spanish officials secularized San Antonio's five missions and distributed their lands to the Indian residents. The Valero Mission was soon abandoned, and later became a fort; the historic Battle of the Alamo was fought at this mission in 1836. After the Texas Revolution ended and the evacuation of Mexican forces from Texas, Bexar County was organized by the Republic of Texas in December 1836. San Antonio was chartered in January 1837 as its county seat. 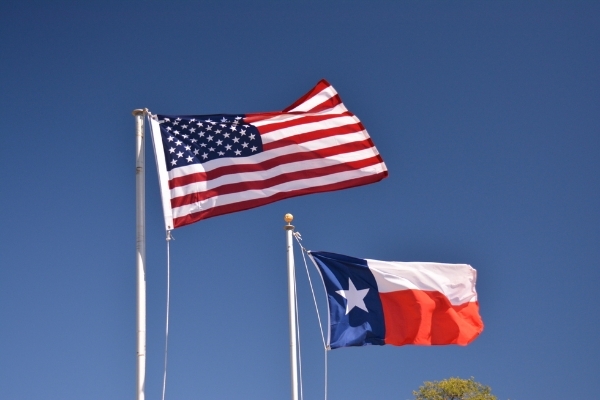 When Texas entered the union, San Antonio became a servicing and distribution center for the western movement of the United States. This caused rapid population growth. Germans made up a large part of this growth. 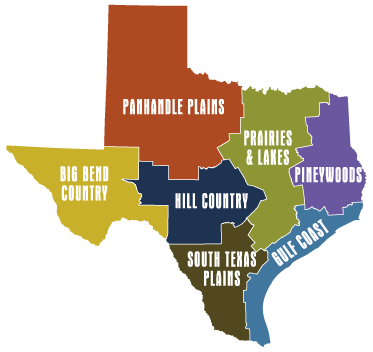 Its population of 8,235 in 1860 made it the largest town in Texas. In 1861, local militia forced the surrender of the federal arsenal at San Antonio even before the state seceded from the Union on March 2. During the Civil War, San Antonio served as a Confederate Depot. After the Civil War, San Antonio prospered as a cattle, distribution, mercantile, and military center serving the border region and the Southwest. The city was the southern hub and supplier of the cattle trail drives. An important wool market developed with the importation of merino sheep to the adjacent Hill Country. The Galveston, Harrisburg and San Antonio Railway arrived in San Antonio in 1877. By 1880, San Antonio had 20,550 residents. The International-Great Northern Railway reached the city in 1881, and three more railroads arrived by 1900. During the 1800s a lack of a railroad caused many small Texas towns to die, and the appearance of a railroad caused many towns to explode with growth. By 1920, the town had 161,379 residents and remained the largest town in Texas. “After 1910, Mexican immigration greatly increased due to the Mexican Revolution and the development of local service industries. The confluence of Hispanic, German, and Southern Anglo-American cultures in San Antonio made it into one of America's "four unique cities" (along with Boston, New Orleans, and San Francisco). Each successive group of immigrants put its stamp upon the city, its culture, and architecture. Each period of growth produced characteristic and often distinguished architecture. Peculiarly, San Antonio succeeded in merging its past into the new in each generation. Old Spanish walls remain beside modern glass towers, with rows of Victorian mansions a block away, a combination that lends the city a charm sought out by millions of visitors.” Today San Antonio is the second largest city in Texas, and the 7th largest city in the United States. Tourism is one of the city’s most important industries. San Antonio is located on IH-35, IH-10 (east-west), IH-37 (north-south), U.S. 90, U.S. 181 and SH 16, and is circled by State Highway Loop 1604 (Charles Anderson Loop). The town is located 40 miles from Bandera, 50 miles from Johnson City, 60 miles southeast of Fredericksburg, 35 miles southeast of Comfort, 35 miles southwest of San Marcos, 20 miles southwest of New Braunfels and Gruene, 30 miles southeast of Boerne, 20 miles north of Poteet, 20 miles slightly east of Castroville, 25 miles southwest of Seguin, 30 miles from Pleasanton, 40 miles from Canyon Lake, 40 miles from Hondo, 45 miles from Blanco, 65 miles from Luckenbach, 55 miles from Kerrville, 90 miles from Marble Falls and 70 miles southwest of Austin, Texas. The red sandstone courthouse was designed in Romanesque style with Gothic elements by famed courthouse architect J. Riely Gordon. The courthouse is listed on the National Register of Historic Places. The 2010 Bexar County census was 1,714,773. (210) 335-2011. The courthouse is located on San Antonio’s Main Plaza at 100 Dolorosa Street, 78205.